In May 2017, Westminster residents elected political newcomer Joe Dominick mayor. Though new to politics, Dominick’s love for the city and roots here began in his youth when he attended Art Monk’s Football Camp and enjoyed ice cream at Baugher’s Restaurant. College life lured him back. 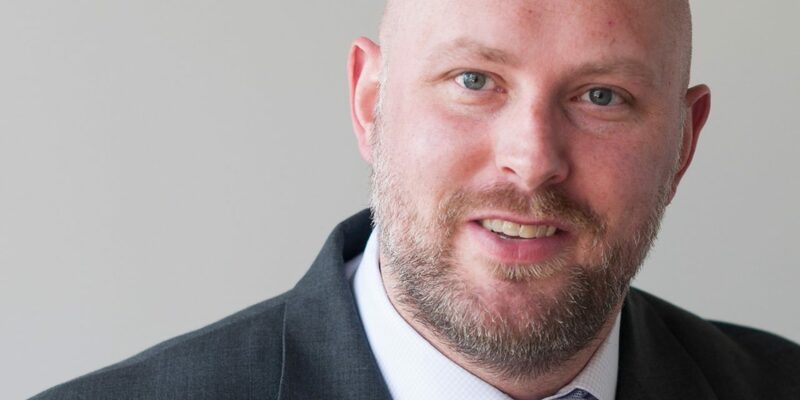 Now Dominick is a tech entrepreneur who is active in the Westminster business community as an owner and managing partner of Gauge Digital Media, LLC. He lives in the Meadow Creek community with his wife, Andrea Dominick, and their son, Max. Your life as an entrepreneur and businessman started early. Talk about those days and businesses. I was in college at McDaniel, and with friends — from our dorm room — we brokered T-shirt sales and items that were screen printed or embroidered. We got into digital marketing before it boomed. We eventually moved into the old Coca Cola building. At 22 and 23 years old, the business peaked at over a million and then ended. How do you see those entrepreneurial days influencing your role as mayor? Those days married me to Westminster. I had already been out here for football camp and visited the Ravens camp when it was here. And I came to college here. I loved it enough after those college years to settle here, build a house and raise a son. Specifically, the early business days gave me a tolerance for taking a risk, for learning that ideas will be challenged and criticized — that’s part of business. It’s hard to make the decision that is not popular, but I’ve become more comfortable doing it. A good company is not just about you and about profit. You have a responsibility to those who work for and with you. Competitive weightlifting is a big part of your life. How does that influence or overlap with your mayoral role? In more ways than you think. If you want to have strength as an athlete or in government it takes patience. During your first couple of years of lifting, you gain strength and size quickly. And then you have to be patient. Athleticism and government work also require a lifestyle that is filled with flexibility and dedication. Nothing is fast or easy. 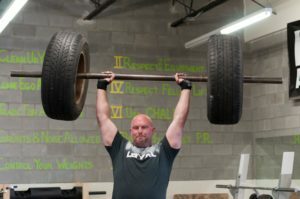 Here’s an overlap between my love for weightlifting and being the mayor that most people don’t know: I hope to connect with other mayors who lift, too. There is a mayor in Florida who benched 405 pounds and posted a video. I hope to compete in January — hopefully with other mayors nationwide. 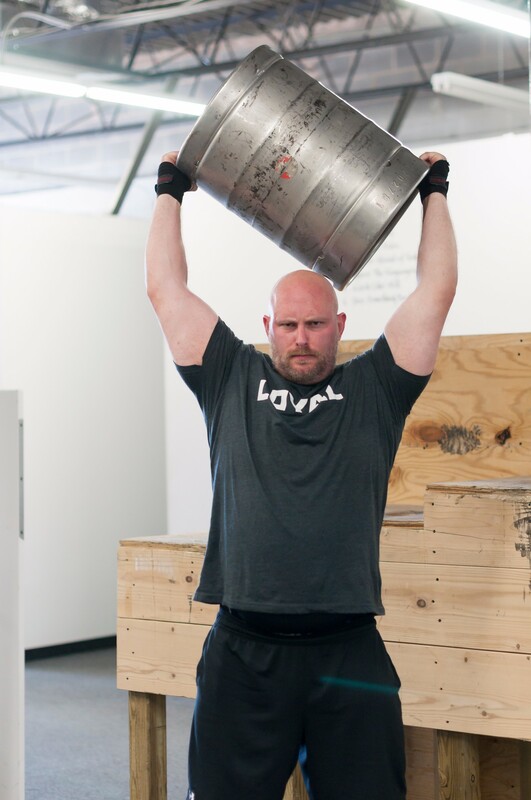 Musclemine, a local gym here in Westminster, is trying to leverage a World’s Strongest Mayor competition to make money for charity. How do you hope you are seen as the mayor? As someone who has strength of character and who knows that what we do matters. City council members and I don’t make decisions lightly. I hope to be known as a mayor who weighs how each decision affects everyone’s lives. What are two or three sources of pride for you? My son, Max, who is 1½, and being an Eagle Scout during a time when Scouting was not political. Great things happened at the troop level, and Scouting helped so many kids who needed mentorship. What is your Achilles heel? If you have more than one, discuss. I love creating businesses, new initiative, and brands — but if I had to continuously complete redundant tasks, it would never get done. I get distracted. If things are boring for me, I have to will myself to stay focused and get them done. I change hobbies a lot — video games when I was younger, and now Strongman competitions. I also hope to compete in highland games competitions very soon. The fiber optic project is an important legacy for the city, and projects that big don’t come without pushback. How do you handle that pushback as mayor? The answer is complex. It’s hard to support a project while looking around and noticing city needs like roads and buckling sidewalks, but it is important to realize that what the city does is more than maintenance. There are plenty of things to address — the police force, water, roads. But to maintain those things well, we have to have economic development. We have to be proactive to improve the city. In order to bring in high-paying jobs, the city has to create an infrastructure for technology and businesses that unfolds in forms we can’t even imagine now. A project this big should have two sides and debate about it. That debate reminds us to manage things well and educate people. What or who inspires you? Elon Musk — I’m a huge fan because he just does everything differently. And because of the way he thinks — he revolutionized banking with PayPal, he opened up private-sector space exploration and made electric cars cool. He does things differently and as a result builds success from innovation. He is an engineer who solves world problems/needs and tackles them. Favorite movie? Dances with Wolves — the spectrum of emotions and because it is so well made. Arrival — it reveals how language shapes how we think. What music genre rallies you the most? I love all music, but music like Metallica and Rage Against the Machine rallies me before I hit a heavy set. If I want to calm down, I listen to music from the late ’90s — alternative rock. What advice would you offer to someone who toys with being the mayor someday? I feel like I haven’t been in the position long enough to give advice, but I think it is important to know the real reason you are doing it. Is it to further your role in politics? Personally, I don’t want to move beyond the city. I love it.